Christine Sorkness, RPh, PharmD, is ICTR Senior Associate Executive Director and oversees the Community-Academic Partnerships core, and the Pilot Grants program. She helps direct the ICTR Collaborative Center for Health Equity. She has a special interest in health disparities in asthma, in which she has conducted both cost-effectiveness and comparative effectiveness trials. Dr. Sorkness has a clinical practice in the Anticoagulation Clinic at the VA Hospital-Madison, and also is affiliated with the UW Allergy, Pulmonary, and Critical Care Division, with more than 20 years of NHLBI-funding as either a co-investigator or co-principal investigator. 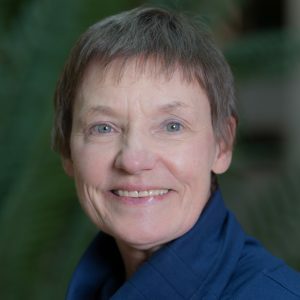 A long-standing member of the UW Health Sciences IRB, she has also served on several NHLBI-appointed Data and Safety Monitoring Boards for large multi-center national trials. Today, Dr. Sorkness holds professorships in both the School of Pharmacy and the School of Medicine and Public Health. Having guided the Doctor of Pharmacy curriculum through the UW academic approval process, she had the expertise to manage approvals for the ICTR graduate programs in clinical investigation. She serves on the ICTR Faculty Governance Committee and teaches two graduate courses, background for her oversight of the ICTR Research Education and Career Development core as well.